It all began in 1990, when a group from Houston, Texas traveled to Kenya and saw the desperate need for clean drinking water. They returned to Houston and founded a 501(c)3 non-profit. The fledgling organization equipped and trained a team of Kenyan drillers, and LWI Kenya began operations the next year under the direction of a national board. 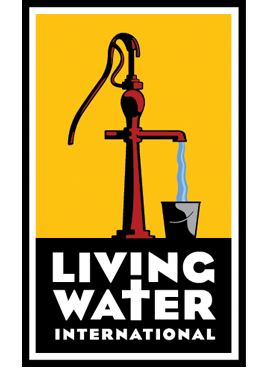 That pattern continues today; Living Water International (LWI) trains, consults, and equips local people to implement solutions in their own countries. Remembering the life-changing nature of that first trip in 1990, they also lead hundreds of volunteers on trips each year to work with local communities, under the leadership of nationals, to implement water projects. Their training programs in shallow well drilling, pump repair, and hygiene education have equipped thousands of volunteers and professionals in the basics of integrated water solutions since 1997. And for those that like to do some research before they donate (which is GREAT by the way), you can see their profile on Charity Navigator here.